The venerable D.K. Pattammal was a sprightly 64 when we launched Sruti magazine. Can you imagine the excitement the young Sruti team (the editor Pattabhi Raman was himself a mere stripling at 50) experienced when the lady, all smiles and looking quite grand in her tasteful silk sarees, visited Alapana, the home of the editor as well as the magazine, on more than one occasion and so graciously opened up about her life and times with her interviewer Gowri Ramnarayan and facilitated the young journalist’s first contribution to any magazine. Pattammal appeared on the cover of the inaugural issue and we could not have asked for a more auspicious Pillaiyar suzhi. Other stars were featured in that issue. The boy prodigy U. Srinivas shared space with the Sangita Kalanidhi on the cover, which also had dancers Lakshmi Viswanathan and Sonal Mansingh on it. But make no mistake. Pattammal was the superstar among all these artists. Today we have entered Pattammal’s centenary year, and we cannot help feeling that her blessings have carried us thus far in our own journey. Soon followed another memorable profile of another enduring icon, a Sangita Kalanidhi like Pattammal, but from the world of Bharatanatyam, in fact the only dancer to be so decorated so far. Tanjavur Balasaraswati (born 1918) was another supreme artist whose centenary is being celebrated this year. Bala too was generous with the time she gave Sruti, and Pattabhi Raman and Anandhi Ramachandran, the two authors of the Bala piece, virtually walked on air while she gave them a ringside view of the Dhanammal legacy. Others like S. Guhan and T. Sankaran were invaluable resources and the successive profiles of Pattammal, T.N. Seshagopalan, Rukmini Devi Arundale and Balasaraswati gave Sruti the kind of flying start even Tendulkar-Ganguly-Sehwag could not have bettered. It is therefore not easy for us at Sruti not to remember these icons with abundant gratitude over and above the awe and wonder their stellar careers and extraordinary qualities of head and heart inspire in all of us. We must also stop to acknowledge the contributions of the many friends and well wishers who freely gave of their time and knowledge to Sruti, thus helping it to build a formidable database of stories true and apocryphal. Their many articles, solicited and voluntary, were of course edited and polished to provide the reader a veritable treasure house of recent history of music and dance the likes of which had seldom been seen outside academic publications. A look at the contents page of the magazine in the early months and years will easily prove that Sruti was indeed the beneficiary of some rare wisdom from scholars, connoisseurs and rasikas. 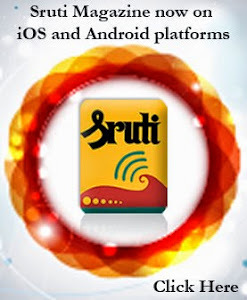 What these remarkable pioneers of the Sruti tradition—S. Rajam, M. Krishnan, S. Krishnan, S.K. Saxena, S.T.P. Sarathy, K.S. 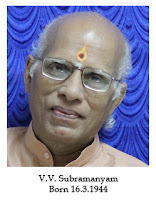 Muthuraman, V.S. Sundararajan, Manna Srinivasan and P.C. Jayaraman to name a few—have done is to place a considerable burden of responsibility on their successors; in Sruti and elsewhere. They have well and truly raised the bar for arts journalism in this part of the world. We sorely miss them, just as much as we miss Balasaraswati, Rukmini Devi and Pattammal. 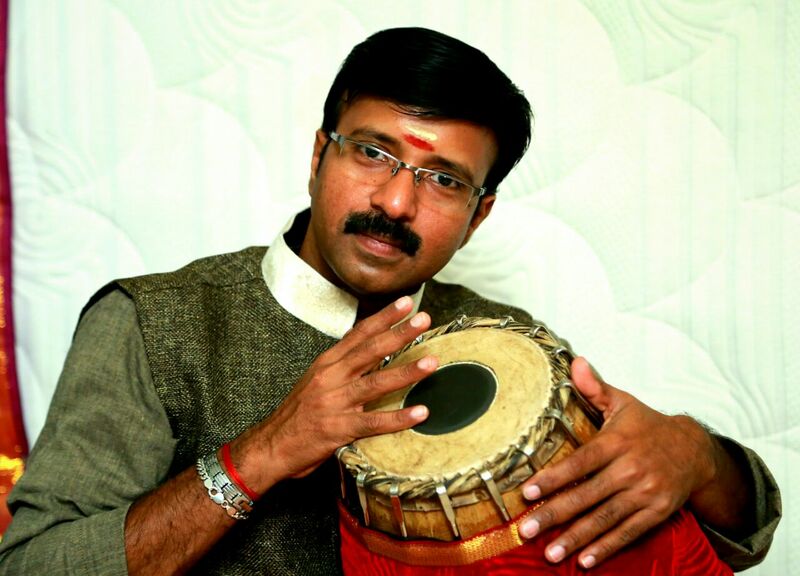 A versatile percussionist, S. Nagarajan has been accompanying senior Bharatanatyam artistes for the past two decades. At Kaladarshanam, a school he founded, his wife Kirushanthy and he train students in Bharatanatyam and mridangam. He aspires to take percussion to the layman, and believes that an artiste should be adaptable and true to his art. All your family members are involved in the arts. 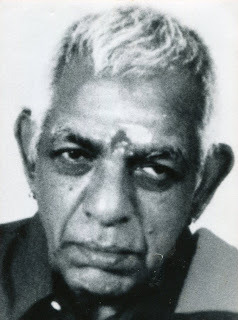 My father, Shanmugalingam, an Odhuvarmurthy, was active in singing pannisai at the temple in Yazhpanam, Sri Lanka. He was also a tambura artist, though he was a goldsmith by profession. All his activities were connected to the temple. He specialized in making ornaments for deities. My mother is a rasika and is still involved in singing bhajans. They have been a tremendous influence is my life. My father passed away some years ago, within a week of being diagnosed with cancer. I think it was his devotion to Goddess Kamakshi that allowed him to leave this world without suffering. All my siblings are involved in the arts. 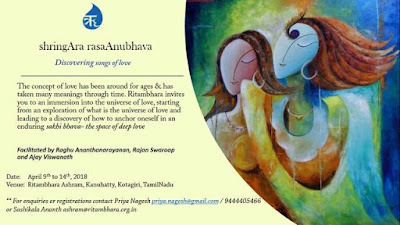 My brother, Gnanaguruparan is an artist specialising in painting. Another brother, Davaguruparan, is a tabla vidwan. Umaguruparan is a vocalist. Kumaraguruparan is a drama actor, while my sister Sarumathy is a veena artist. I married a Bharatanatyam dancer and my children are learning Bharatanatyam under her guidance. What was your early exposure to music like? I was born in India but spent my early years in Sri Lanka. Jaffna was very active in promoting music through the university. My father was the tambura artist for many senior visiting musicians. I started my training in mridangam. My guru, Kalaimamani Durairaj, was a disciple of A.S Ramanathan. Besides learning formally, I used to accompany my father in pannisaikucheris. My life revolved around school, the temple and concerts. Yazhpanam was unique in its nurturing of artists, wasn’t it? Yazhpanam was very rich culturally. I gained a lot of exposure playing for senior artists, as musicians encouraged young artists like me. Looking back, my early years in Jaffna shaped my approach to and understanding of music. It was such an open minded cultural ambience. A good mridangist was expected to play for all genres of music, be it Carnatic music or bhajanasampradaya recitals or Bharatanatyam. We learnt to adapt to different ways of playing depending on the kind of music being performed. 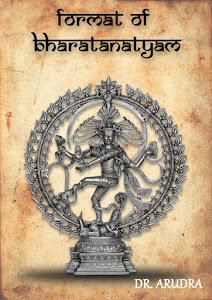 If it was a Bharatanatyam programme, a percussionist was expected to know the adavu system, the nuances of bhava, the entries and exits of the characters and the modulation involved in playing for nritta and abhinaya. The same mridangist was adept at playing for a full-fledged kutcheri. I grew up in that kind of atmosphere, watching my own teacher play for different art forms. How did you decide to pursue a career as a mridangist? I completed my degree at Hindustan Engineering College. I was keen to further my training in mridangam and joined the Music Academy for a course under Umayalpuram K. Sivaraman Sir. It was a six-year course but I was fortunate to gain admission into the fourth year. I completed my Diploma in Mridangam in 2002. My entry into dance was through Hariharan and Prameela in 1994. As I said earlier, I was open to playing mridangam for all kinds of performances, so it was a welcome opportunity. At that time, I was working for the Shriram group. I was leading a team and had a lot of responsibilities. Soon, I found it difficult to do justice to my music and a full time job. In 2003, with the encouragement of all my peers, I quit my job and became a full time musician. Interested in Western and Indian rhythm, I decided to do an MA in Indian music (Rhythmology – Mridangam) at the Madras UnI was iiversity. I graduated in 2009 with a first class. In 2011, I went on to complete an M.Phil in Indian music (Rhythmology -Mridangam). In what way can dancers and accompanying musicians work to ensure quality of performance? As a mridangist, I find it easy to work with dancers when they are very clear about the compositions or choreography. This way we can support them to the best of our ability. It helps us if they send us the jatis before the rehearsals and clear any doubts regarding kanakku before the other musicians arrive. This will ensure that time is not wasted during full rehearsals. How should aspiring mridangists for Bharatanatyam prepare themselves for a career in this field? I think sincerity and humility are important traits to develop. Regardless of the standard of the teacher or the performer, our job is to support the dancer and aim for a successful performance. There are many things for us to learn on this journey even if we have received the best training. Being open to working with fellow artistes and improving our knowledge will go a long way in enhancing the quality of performance. I find that every performance contributes to my learning. The same composition is handled in a multitude of ways depending on the dancer’s bani and creativity. We have to be ready to adapt without having rigid ideas. To do this, a sound foundation in technique is important. With that we can create wonders. I think the reverence we have for our instrument is something we should never forget. My first allegiance is to my mridangam. I only play after doing puja to my instrument. It is not something I can be careless about. Whether it is for Bharatanatayam, Carnatic music concert or a bhajan, the moment I touch my instrument, it is with full dedication. What are the challenges when playing for recordings? Time constraint. Within our scheduled time, we have to finish our parts understanding what is required by the choreographer. I feel it will be more effective to have a rehearsal before the recording so that time spent in the studio is optimised. Do you play any other instruments? I have formally learnt the mridangam but along the way, picked up the khanjira, tabla, tavil, morsing and dholak while playing for bhajans. This helped me when I started using the rhythm pad. It is important to know the basics of these instruments to create an authentic soundscape on the rhythm pad. Tell us about your new venture, the Madras Drum Circle. My friend Soundararajan and I were very keen to take percussion to the masses. We bought some djembes (an African percussion instrument) and started conducting workshops for interested groups. Till date we have worked with IT professionals, children and teenagers at different events. We were recently invited to conduct a birthday party event where children enjoyed themselves thoroughly. In fact, the parents joined in too. The best part about these workshops is that there is no hierarchy. Everyone plays simple rhythm patterns together with everyone else and the output is amazing. This has been useful as a team building activity in the corporate world as it promotes camaraderie amongst team leaders and their group members. We are very active on Facebook. It takes a lot of time and energy as my friend and I handle the events personally. However, the reward of seeing the smiles and enthusiasm of the participants is worth every moment. It gives me great satisfaction to reach out to people. In earliest vision of musical perfection was the image of Padma Varadan’s (Pappa Akka as I used to call her when I was a child) slender fingers gliding effortlessly over the black and bronze fretting of the veena to produce seamless musical phrases of exquisite brilliance. That vision has been an enduring one, responsible for making me an Ekalavya of her musicianship and accepting her as my ‘manaseeka guru’, much to the amusement/ irritation/disapproval of my real gurus. While my mother and my foremost guru, Karpagavalli Gopalakrishnan, accepted my preference with good grace, my mother’s guru and Padma Akka’s father, the late Ranga Ramanuja Ayyangar, who tutored me on and off over the years, was not amused when I often questioned his authority in favour of his daughter’s. For me, Padma Varadan was the ultimate arbiter, at least in my impressionable childhood and teen years. Veena is one of the most ancient among Indian musical instruments and is as old as Hinduism. Sanskrit texts on music of yore refer to all stringed instruments as veena-s. Hence we have Rudra veena, Saraswati veena, sata-tantri veena (santoor), chitra veena (gottuvadyam) and so on. Even sarangi is classified under veena. The greatness of the South Indian or Saraswati veena lies not just in its ancientness. It can bring out all the subtleties and nuances of a raga delineating the raga bhava. Therefore, those who give lectures on gamaka-s often prefer it for the purpose of demonstration. It is a hard taskmaster requiring constant practice for attaining proficiency. Not long ago one of the requirements in many Tamil households was for the daughter to learn to play it along with vocal music as a qualification for marriage! The number of vainika-s who have mastered it is limited and those who can command the loyalty of many rasika-s can be counted on one's fingers. Devakottai Narayana Iyengar was one of those rare vidwan-s who could establish their hold on the rasika-s without resorting to any gimmicks or publicity for themselves. 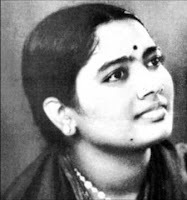 Born in Kanchipuram on 28 March 1919, Damal Krishnaswamy Dikshitar Pattammal was over 90 when she lifelong admirers of her magnificent, sonorous rendering of unadulterated traditional Carnatic music, austere in intent and execution, crystal clear in enunciation, faithful to its creators in word and spirit, soaring in its adventurous exploration of the most complex of its rhythmic variations. Spotted by a school headmistress, Pattammal learnt from the great guru-s of her day by indirect assimilation Ekalavya style rather than through gurukulavasa, which her gender at any rate ruled out. Kanchipuram Naina Pillai’s impact led to her mastery of ragamtanam- pallavi at a time when women if heard at all on the concert stage were expected to confine themselves to song-rendering in a demure, proper manner. The brief tutelage with Ambi Dikshitar meant that she would one day become synonymous with the Muthuswami Dikshitar oeuvre. The graduation – through adulthood and marriage – to direct learning from Papanasam Sivan gave her a command over Tamil compositions that was at once enviable and poignant in the visible bhakti of her exposition of those moving lyrics. For all her orthodoxy, Pattammal took many a daring step in her youth, especially in her courageous espousal of the nationalist cause through song. She did not shy away from lending her voice to film songs either, provided the songs were based on classical music and had high meaning. They were usually of patriotic content. She gave new life to some of the best creations of poet Subramania Bharati in this genre. Violinist M.S. 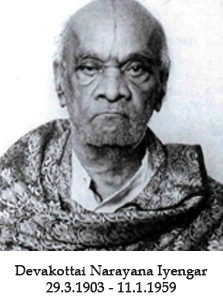 Anantharaman, a Carnatic music icon who straddled the 20th and 21st centuries as a performing violinist and guru, passed away in February, bringing to an end a rare period in contemporary history of at least three generations of the Parur Sundaram Iyer lineage, performing contemporaneously on stage, solo, accompanying vocalists and sometimes together on stage. For, in recent years,Anantharaman, elder brother of the late MS Gopalakrishnan, gave solo concerts as well as performances along with his sons Sundareswaran and Krishnaswami and his grandsons, not to mention the occasional stage appearance with a granddaughter. In his prime, he accompanied almost every stalwart among the great vocalists of his generation. Born on 26 August 1924 in Madras, Anantharaman was a son and disciple of Parur A. Sundaram Iyer, the eminent violinist and pioneering guru responsible for the spread of the violin beyond Carnatic music into Hindustani music as well. Anantharaman received training in playing the veena as well as the violin, and in Hindustani music. A demanding teacher with a fine reputation, he served the Tamil Nadu Government Music College in Chennai as professor of violin from 1962 to 1983. Later, he taught in Pittsburgh, U.S.A., for some time. Anantharaman was a recipient of the Kalaimamani award of the Tamil Nadu Eyal Isai Nataka Manram, the T.T.K award of the Music Academy (1996) and the Central Sangeet Natak Akademi Award (1998). He was the Asthana Vidwan of the Kanchi Kamakoti Peetham. Some years ago, Anantharaman, his two sons and their children gave an entertaining lecdem on rare Tyagaraja and Dikshitar kritis. During the lec-dem, they described their style, the Parur style, which is almost 125 years old, founded by Parur Sundaram Iyer, a disciple of Veena Dhanammal. Anantharaman sang in perfect sruti songs that he played on the violin as well. In the same article, Ramanathan describes the viraladi or single-finger slide technique to achieve "a continuous, undying tone," probably invented by Sundaram Iyer to replicate the meend of Hindustani vocalist Omkarnath Thakur--whom he and his sons accompanied in concerts--and cultivated by Anantharaman and Gopalakrishnan. He also mentions the practice of one brother playing a raga in thye hindustani mode and the other in the orthodox Carnatic mode. In fact, it is well known that the Parur bani does reveal the Hindustani influence. One long time observer of the bani claims that Anantharaman's admiration for the violin-playing of Lalgudi G Jayaraman—a professional rival of the family—is occasionally reflected in his own music. Anantharaman spoke glowingly of Jayaraman at a condolence meeting soon after his death. while the Lalgudi family acknowledged Anantharaman's lifetime achievement with an award during a Lalgudi memorial event at the Madras Music Academy. Anantharaman was a simple man, a careless dresser, of stern countenance during concerts, was a man of few words, but "called a spade a spade", not above publicly criticising even celebrities for what he believed were improprieties they committed. In a lighter vein, his humorous quips could provide light relief when musicians strayed from their music on stage to engage in speech. At a concert in which he was accompanying vidwan S.R. 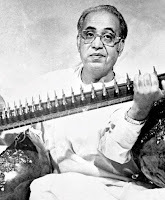 Janakiraman, SRJ launched into a description of the musical phrase he was essaying, when Anantharaman brought him back to earth by reminding him, "Janakiraman! your engagement here is for a concert. Please resume it and reserve the discourse for some other occasion." Anantharaman was a caring elder who not only encouraged his own offspring in their musical careers, he also attended concerts of other young artists from a quiet corner in the auditorium. A number of music students from Sri Lanka received more than a helping hand from him in the late 20th century, while trying to establish themselves in the concert scene here. "He was a godfather to many of them, taking care of their welfare and their music." He was also a respected violin teacher at the Central Music College at Chennai, where students looked up to him. Parur M.S. Anantharaman's death has marked the end of a lifetime of devotion to his art—quietly, unobtrusively, but with immense pride in the perfection of his art and his legacy. 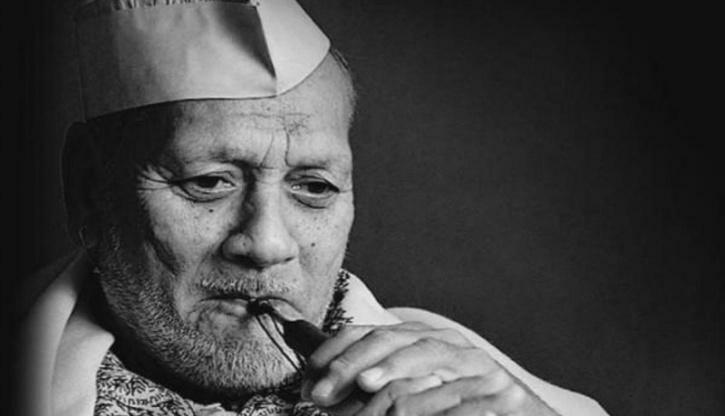 Ustad Bismillah Khan, the shehnai maestro, and possibly the most popular Hindustani classical musician of the 20th century, breathed his last at the age of 91 in Varanasi at 2.20 am on August 21. In his death, the nation mourns the fading away of the musical magic that heralded the dawn of Independence at the Red Fort on August 15, 1947, and regaled free India for six decades. Bismillah Khan was one of the chief architects of India’s postIndependence musicscape. He elevated the shehnai, an ancient ceremonial instrument, to the status of a concert instrument. Through the 1960’s and 70’s, his formidable musicianship, along with that of instrumentalists like Pandit Ravi Shankar, Ustad Ali Akbar Khan, and Ustad Vilayat Khan, enabled instrumental music to overtake vocal music in terms of stature and popularity. Bismillah Khan, however, achieved much greater popularity than other instrumentalists of his generation because he straddled the worlds of classical, folk and popular music with equal ease and distinction. The key to Bismillah Khan's musicianship lay in his having steeped himself in the rich musical tradition of Varanasi, the cultural capital of early 20th century India. Though born to a family of musicians from Dumrao in Bihar, Bismillah Khan moved to Varanasi at a young age to become a disciple and later, also son-in-law, of his uncle, Ustad Ali Baksh. It was in this holy city, that Bismillah Khan mastered classical music, and the various semi-classical, folk and romanticist genres of the Purab (Eastern U.P.) region, like thumri, chaiti, kajri, and dadra. Over the years, he transformed these genres into a distinctive modern idiom for the shehnai, of which he remained the only convincing exponent. In 1965, Sudharani was only 21 years of age but the responsibility of choosing which road to follow was left entirely to her by her parents. Her mother was ready to back her up if she wanted to pursue dance, while her father would probably have understood her if she did that, compromising her chance to lead a life of wife and mother. But they left the decision to her. Sudharani had already acquired a reputation as a fine Bharatanatyam dancer— and made the eminent teachers who had groomed her feel proud. She had earned the appreciation of ordinary VIPs, namely the connoisseurs, as well as of WIPs like Heads of State and Prime Ministers. She had learnt Carnatic music also. She had graduated with a B.A. degree in philosophy and sociology from the University of Mysore. She had studied abroad, in the United States of America, for a year and this had widened her horizons. She had acquired a degree of sophistication, in addition to the college degrees. She had gained enormous selfconfidence. With such qualifications and experience, she could pursue a career, in dance, if she wished to do so, and hope to succeed. Interestingly, yet, she chose to travel the other road, knowing very well that it almost certainly meant a drastic change from the joy of dancing in front of footlights to assuming responsibilities as a 'domesticated' wife and mother. She was willing, if not eager, to leave all the glory and glitter behind. She elected to marry R. Raghupathy, 'the boy next door' in a manner of speaking: her and his parents had stayed only a couple of streets apart in Bangalore and known each other for many years, even though the latter had their base in Madras. The alliance had been broached five years earlier and even then Sudharani had tentatively agreed to it. 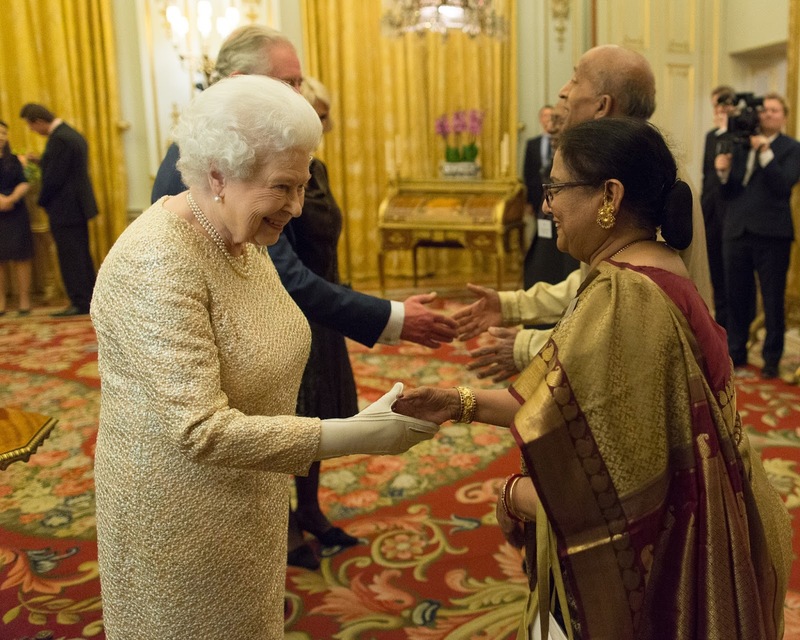 An exciting slew of events has been planned to celebrate the centenary of one of Carnatic music's enduring icons starting on Saturday 17 March and culminating on her 100th birth anniversary on 19th March 2019. 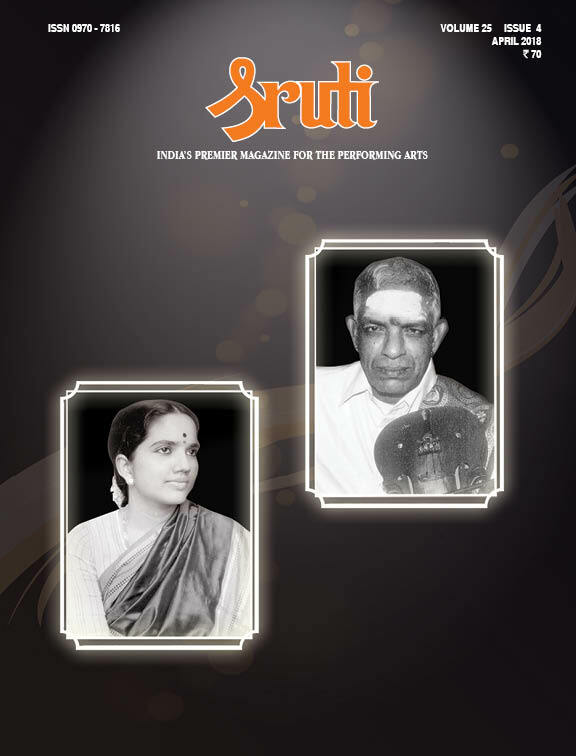 Sruti's inaugural issue proved an instance success as it had Sangita Kalanidhi DK Pattammal on the cover. She was in many ways a pioneer among Carnatic vocalists, and we called her a trail blazing traditionalist. It is no secret that in the conservative south Indian milieu of the first half of the twentieth century, women were expected to take care of home and hearth, not venturing out even to practise the arts. The performing arts, not considered very respectable in Victorian India, had just about emerged from the shadow of social stigma, and were now dominated by men. In a remarkable turn of events that so often surprise us in the melting pot that is India, it was the intervention of the headmistress of the convent school she went to in the temple town of Kanchipuram that prevented young Pattammal from going the way of many upper caste Tamil girls. Pattammal was a fortunate exception to the social norms that kept women at home. 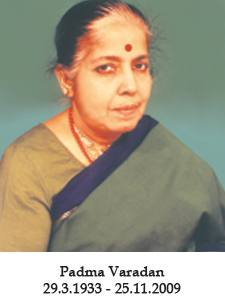 Once her father Krishnaswamy Dikshitar became convinced that her musical talent should be displayed on the concert stage, there was no stopping her. She not only became the equal of men in areas the few women already performing had hitherto been allowed to enter, but stormed the exclusive male bastion of ragam-tanam-pallavi singing and complex swaraprastaram. Born in Kanchipuram on 28 March 1919, Damal Krishnaswamy Dikshitar Pattammal was over 90 when she breathed her last on 16 July 2009, her death bemoaned by the lifelong admirers of her sonorous rendering of unadulterated traditional Carnatic music, austere in intent and execution, crystal clear in enunciation, faithful to its creators in word and spirit, soaring in its adventurous exploration of the most complex rhythmic variations. For all her immaculate pathantara, Pattammal’s early schooling in her chaste music was at best vicarious, learnt from the great gurus of her day by indirect assimilation Ekalavya-style rather than through gurukulavasa, which her gender at any rate ruled out. Her virtual mentor Kanchipuram Naina Pillai’s impact led to her mastery of ragam-tanam-pallavi at a time when women singers were expected to confine themselves to song-rendering in a demure, proper manner. The brief tutelage with Ambi Dikshitar that came later meant that she would one day become synonymous with the Muthuswami Dikshitar oeuvre. Graduation through adulthood and marriage to direct learning from Papanasam Sivan gave her a command over Tamil compositions poignant in the visible bhakti of her exposition of those moving lyrics. 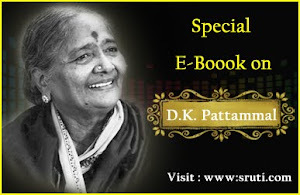 For a woman of orthodox upbringing, Pattammal took many a daring step in her youth, especially in her courageous espousal of the nationalist cause through song. She did not shy away from lending her voice to film songs either, provided the songs were based on classical music and had high meaning. They were usually of patriotic content. She gave new life to some of the best creations of poet Subramania Bharati in this genre. Pattammal and her brother D.K. Jayaraman were a rare combination on stage, creating vocal excellence in a role reversal that meant the younger brother had to sing in a kind of falsetto to support the elder sister’s deep voice. 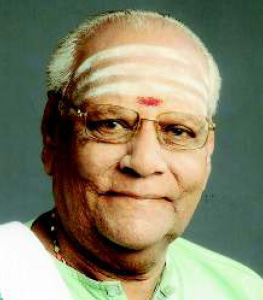 It is only when Jayaraman started to perform solo that the real depth and range of his voice came into prominence. While son Sivakumar is a mridanga vidwan, his marriage to Palghat Mani Iyer’s daughter resulted in the passing on of extraordinary musical genes to the next generation. Granddaughter Nithyashree Mahadevan is the best known among the musicians from the Pattammal lineage. Pattammal was a much loved, respected teacher too. Many frontline musicians belonging to the Jayaraman school had the good fortune of learning from Pattammal too, especially after Jayaraman’s premature death. Vocalist Vijay Siva and violinist R.K. Shriramkumar are perhaps the most prominent of them. Pattammal remained a loving and devoted teacher almost until the end. She listened to and appreciated good music of all kinds, including film music, jazz and opera, and even watched cricket, but her views on Carnatic music remained unwaveringly traditional, classical. Much of what you read here formed the substance of a documentary on Pattammal's life that preceded the formal launching of the DKP centenary celebrations by M Venkiah Naidu, Vice President of India on 17 March 2018 at the Narada Gana Sabha. 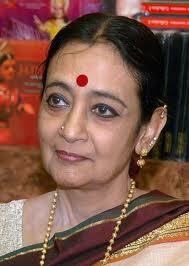 The outstanding feature of the film was Pattammal's magnificent voice which reverberated around the hall. It was difficult to resist the temptation to ask the question, "Will we ever hear another quite like that?" VV. Subramanyam is a musician who, even his worst detractors will admit, has reached regions beyond mere technique and dwells in them. As a probable corollary, he is not very facile with the world of everyday interactions. His refusal to accept anything less than perfect lies at the root of his musical achievements and that same attitude perhaps underlies what is seen as his somewhat intractable disposition towards men and matters. A complex personality, Subramanyam has one consuming passion – music; and this has led him into deep explorations of religious belief and spiritual techniques. His is a world of mysterious connections, of kundalini yoga and mantra sastra, and, above all, nada – that all pervading, primal sound energy mentioned in esoteric philosophical traditions. Born at Thoattuvay in Kerala on 16 March 1944, Vadakkencheri Veeraraghava Subramanyam (VVS), is among the great Carnatic musicians that verdant green country has produced. Among VVS’s earliest memories are concert tours with his guru Chembai Vaidyanatha Bhagavatar. One of them stands out clearly: a visit, when he was barely ten, to Poomuli Mana in Kerala – a household where prosperity wafted through the air like cool fragrances. An old, orthodox namboodiri in that household murmured “Saraswati kataksham” whenever he looked at the boy VVS, convinced that he was blessed by the goddess. During that visit VVS also remembers a little girl offering him a flower as devi prasadam – Saraswati’s blessings. It all fits with his worldview: a world where the divine is as much a matter of experience as normal sense experiences. 14 February 2018, ahead of the London Commonwealth Heads of Government meeting to be held in April. 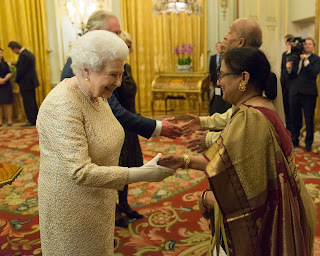 The reception is held to recognize the achievements of "those in the Commonwealth diaspora from across the UK who have made a notable contribution to the wider community." Chamundeswari, a disciple of Dandayudapani Pillai, left India 30 years ago for the UK after marrying Col.Pani, a doctor in the British Army. One of the foremost presentday practitioners of dhrupad, Umakant Gundecha has an interesting name for Seattle, USA. He calls the city “Dhrupad Nagari” meaning “City of Dhrupad”. For, true to its reputation of providing a vibrant blend of cultural activities that draw upon its rich ethnic diversity, Seattle is home to a large number of practitioners of the Dagarvani style of dhrupad. It all began with the visit by an eminent rudraveena maestro from India, the late Zia Mohiuddin Dagar, who came as a visiting faculty member more than three decades ago at the invitation of Robert Garfias who headed the University of Washington’s (UW) Ethnomusicology programme in the mid 1970s. Over a period of four years spread over the mid-to-late-1970s, the ustad, a representative of the 18th generation of the Dagar family of musicians, trained several students in the art of dhrupad. He also taught khayal to beginner vocalists and trained instrumentalists who specialised in playing Indian stringed instruments such as the sitar, surbahar, violin and sarangi. Fred Lieberman and Daniel Neuman who succeeded Garfias at the ethnomusicology department at UW also actively supported the visiting artist programme. Over the years, musicians interested in learning dhrupad moved to Seattle from states such as Pennsylvania, Michigan and California. Mohiuddin Dagar groomed two disciples of Indian origin, Shantha Benegal and the late Prabha Rustagi, both committed to learning dhrupad. Sangita Kalanidhi DK Pattammal's centenary celebrations are being planned on a grand scale by a trust comprising her family, disciples and admirers. Her 100th birth anniversary falls on 19 March 2019, and the celebrations will be inaugurated on Saturday 17 March 2018 by Vice President M Venkiah Naidu at the Narada Gana Sabha, Chennai. The production of a documentary film on her. The patrons of the DKP 100 committee are Sri Gopalkrishna Gandhi, Sri N Murali, Sri Nalli Kuppuswami Chettiar, Sri N Gopalaswami and Sri R Seshasayee.